Located on Long Island, just 100 miles from New York City, the Hamptons have long been a favorite destination for weekend breaks and longer beach vacations. 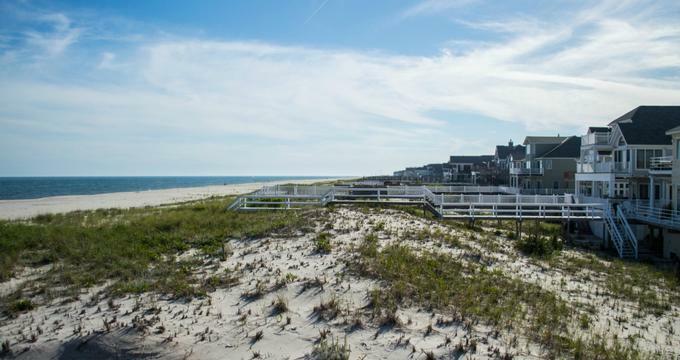 The Hamptons are renowned for being home to some of the best beaches in the US and here you can enjoy beach walks and runs, swimming, sailing, kayaking, surfing, and more. The quaint and historical towns and villages of the Hamptons are packed with wonderful art galleries, boutiques, and excellent restaurants, which serve up innovative cuisine using fresh local produce and seafood. All this bounty inevitably attracts many visitors, particularly during the busy summer months. In response to the demand, a wide variety of boutique hotels and bed and breakfasts are set to welcome even the most discerning visitors. Whether you prefer to vacation in the lap of luxury, chill-out in a simple beach-side cottage, or check into a party venue, there is something to suit everyone in the Hamptons. Guests who are yearning for a relaxing but sophisticated beach break or extended vacation in the Hamptons will find that Gurney’s Montauk Resort ticks all the boxes. The resort is proud to offer guests exclusive use of their private 2,000-foot beach, which comes with everything you need for relaxation including loungers, umbrellas, and even king-sized daybeds. You can simply relax and soak up the sun or try something new like surfing or paddleboarding – equipment hire and lessons are available on site. The resort offers a variety of rooms, suites, and cottages to suit all budgets – even the standard rooms have sea views, luxurious bed linens and toiletries, and Nespresso coffee machines. As the sun sets on another perfect day, you can sip a cocktail and dine overlooking the ocean at Scarpetta. 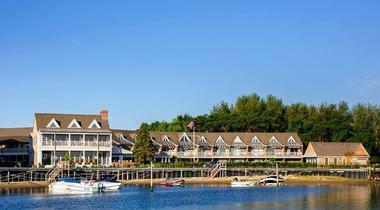 Once a favorite Sag Harbor hide-out for celebrities such as Paul Newman and Art Garfunkel in the 1960s, Baron’s Cove Hotel oozes history and charm. The newly renovated resort is perfectly positioned to explore Sag Harbor and the surrounding Hamptons’ towns and villages and offers an excellent choice of luxurious accommodation, including both harbor and village-facing rooms and stylish suites. You can soak up the sun alongside the harbor-side pool, play some tennis, or spend your days discovering all the charming boutiques and galleries of Sag Harbor. The concierge desk will be happy to advise you about all the local attractions, which include scenic coastal cruises, visits to wineries and farm stalls, and much more. 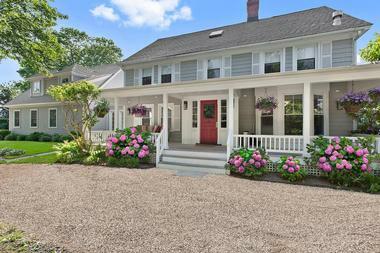 Your experienced hosts at the White Fences Inn have been in the hospitality business for many years and are dedicated to providing all their guests with a great bed and breakfast vacation in the Hamptons. 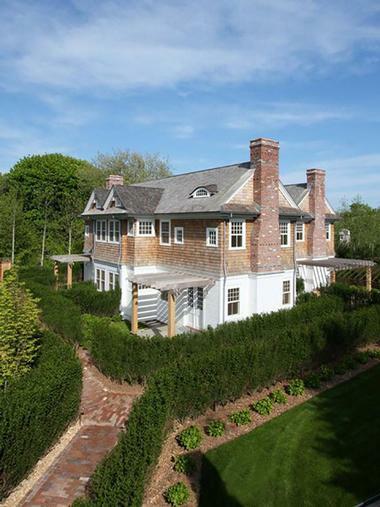 The boutique bed and breakfast is ideally located between Southampton and Bridgehampton, providing easy access to boutique shopping, art galleries, great dining, and brilliant beaches. The rooms at White Fences have been recently renovated with great attention to detail and offer guests a chic and relaxing atmosphere with modern furnishings, Frette linens, upscale body products, and Nespresso coffeemakers. Your hostess Liz provides an excellent freshly prepared breakfast using locally sourced ingredients. 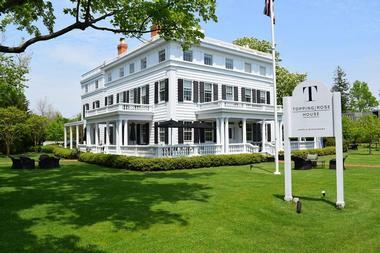 Oozing Swedish style and charm, The Maidstone Hotel in East Hampton provides an elegant Hamptons bolt hole. 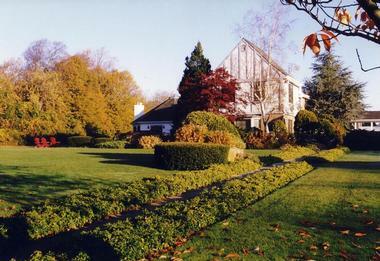 The hotel is set in a delightful garden (perfect for relaxing with a book or enjoying evening cocktails) but is just steps away from all the attractions of East Hampton village. You can choose from a selection of rooms (and three standalone cottages), all of which feature large comfortable beds, superior quality linens, and sensual Jonathan Baker body products. 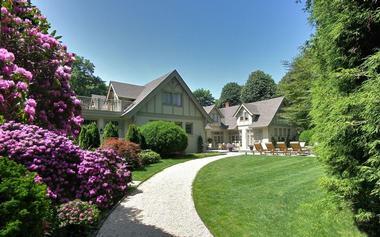 The Maidstone offers a cocktail bar and lounge, and the restaurant serves freshly sourced local seafood and other delights, including a superior children’s menu (and even a pooch menu). Other little luxuries include beach parking permits, free use of vintage bikes, and an excellent concierge service. 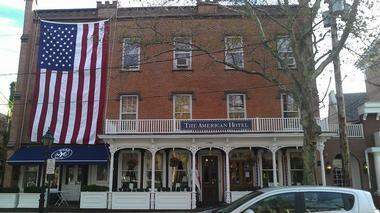 Sag Harbor’s historic American Hotel has been graciously welcoming guests since 1846 and invites visitors to come and experience a unique blend of old and new. The hotel has eight individually decorated rooms designed to pamper guests – expect genuine American antique furnishings, luxury Frette linens and robes, L’Occitane toiletries, and luxury double whirlpool baths. To encourage guests to relax and unwind, there are no in-room TVs – a large-screen TV is available in the lounge. If you would like to take a scenic coastal cruise, the hotel’s yacht is standing by for charter. After a busy day of exploring all Sag Harbor has to offer you can round off your day with a memorable meal prepared by Chef Jonathan Parker. 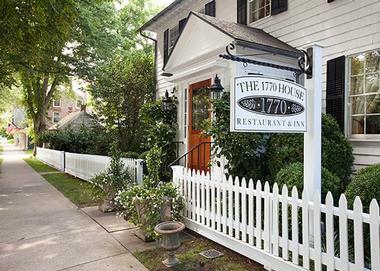 Perfectly located for exploring lovely East Hampton and surrounds, the 1770 House inn has been welcoming guests for over 250 years. Originally built in 1663, the stately home was converted to an inn in 1770 and manages to seamlessly combine all the best elements of its past with every modern amenity today’s discerning traveler expects. Each of the six rooms as well as the Coach House apartment have been individually decorated and welcome guests with Frette bed linens, Molton Brown toiletries, flat-screen TVs, and other luxury touches. In addition to luxury accommodation, you can also look forward to wonderful dining at either the fine dining restaurant or the more casual bistro-style Tavern. 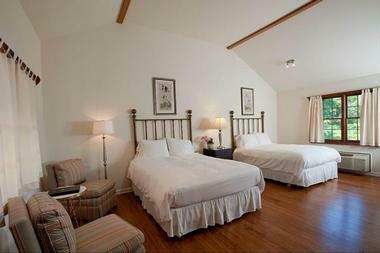 The inn offers various seasonal special packages, many of which include discounts at several local attractions. 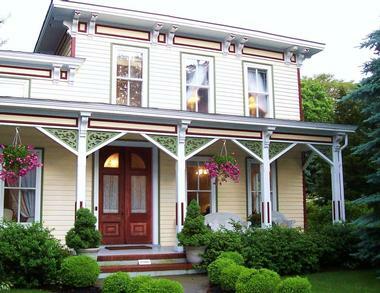 Arbor View House Bed and Breakfast is located in Greenport, right in the heart of the North Fork’s winery area. The delightful bed and breakfast is particularly acclaimed for serving up gourmet three-course breakfasts, but also boasts very luxurious accommodation. Although the inn is full of historic charm and lovely old antiques, it also boasts every modern amenity you may require, including free high-speed Wi-Fi, in-room iPod docks, private Jacuzzi tubs, and flat-panel TVs. Arbor View House will happily arrange a local wine tour for you – either self-drive or accompanied by an enthusiastic and knowledgeable driver. Other treats include in-room massage and other spa treatments and various special occasion packages. 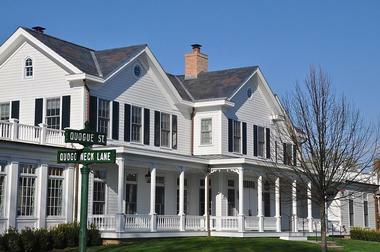 Perfectly positioned to allow easy access to some of the best beaches of east Long Island and the famous North and South Fork Wineries, the Quogue Club at Hallock House is a stylish boutique hotel (and members’ club) close to the quaint village of Quogue. Each of the club’s ten guestrooms and two cottages has been individually decorated to provide a calm and relaxing atmosphere, style, comfort, and privacy; it goes without saying that superior quality linens, body products, and beds are the order of the day. Spend your time exploring the vineyards and historical villages or enjoy a variety of watersports at the beach, play a round of golf or take some tennis lessons – the club will be happy to arrange anything you require. If you are looking for a stylish hotel that offers a lively weekend party atmosphere, the Capri Hotel in Southampton fits the bill. Most of the rooms at the Capri are located around the hotel’s popular Bathing Club, where you can spend your days soaking up the sun and sipping cocktails on a comfy daybed. The Mediterranean-style Oreya restaurant serves up snacks and meals around the pool and on weekends a DJ sets the scene for a great party. The resort also has a few quieter suites tucked away from the action if you prefer not to party, or you could visit mid-week when it is a lot quieter. You can choose from double, twin, or king rooms, all of which feature HD TV, luxury bed linen, Wi-Fi, and L’Occitane toiletries. Located on the site of the historic Clearwater Beach artist’s colony, the East Hampton Art House is a luxury boutique-style bed and breakfast with private access to Clearwater Bay Beach and Marina. All the stylish rooms are individually decorated and designed to pamper, offering quality linen and bathrobes, cable TV, and spa-quality toiletries – if you are planning a romantic getaway for anniversary you can book the Master Spa Suite, which boasts a double whirlpool spa tub. 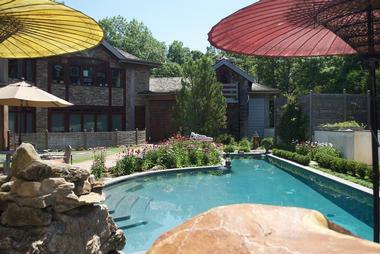 The Art House has both indoor and outdoor pools, a gym/workout room, and a lovely manicured garden to explore. You can walk or rent a bicycle to reach Clearwater Bay Beach (one block away), and visitors are always welcome to visit the studios of the on-site owners/artists Rosalind Brenner and Michael Cardacino. Sailors and seafarers will find themselves completely at home when they check into the waterfront East Hampton Point Hotel. The hotel offers not only luxurious and refined accommodation but also has a full-service marina for people who love to “muck around with boats.” You can choose from one of the comfortable self-catering cottages (all of which feature outdoor terraces and spa bathtubs) or opt for one of the hotel’s stylish suites, all of which are designed to pamper guests with luxury Frette linens and marble bathrooms. You can hire bikes on site, play some tennis, have a workout in the fitness room, or simply relax around the pool. 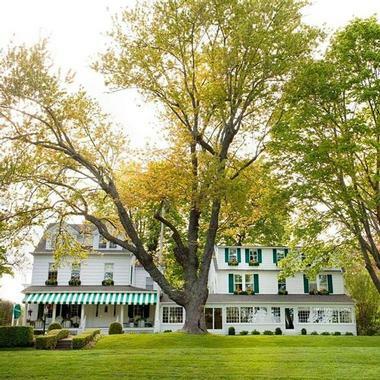 Located on the North Fork of Long Island, the historic Jedediah Hawkins Inn is surrounded by 22 acres of garden and farmland and is ideally placed for exploring the wineries and beaches of North Fork. 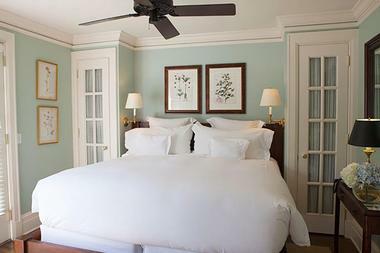 The gracious 1863 building has been fully restored to its former glory and each of the six stylishly decorated rooms and suites offers everything the discerning guest expects from a boutique hotel, including fireplaces, flat-screen TVs, Nespresso coffeemakers, and Frette bed linen. All guests at the inn receive vouchers to attend free wine tastings at the neighboring wineries and you can borrow bicycles to explore the surrounding farm stalls and nature trails. Formerly known as the Village Latch Inn, the new Latch Pop Up Inn is nestled on a 5-acre estate within a short walk of the restaurants, shops, and entertainment of Southampton Village. The old buildings have been fully renovated and redecorated to provide a peaceful haven for visitors who prefer to be a little removed from the buzz of the village. The inn is currently operated as a bed and breakfast but it is very easy to reach all the restaurants and attractions of the village. Although the inn is marketed as a no-frills establishment, you can look forward to light airy rooms with comfortable beds, modern furnishings, air-conditioning, and flat-screen TVs. Nestled in the heart of East Hampton, the Mill House Inn is a delightful boutique-style bed and breakfast that has a loyal following of regulars who return time and again to sample true Hamptons’ hospitality. Each of the inn’s luxury rooms and suites has been individually decorated to offer guests a true home-from-home atmosphere with all the little luxuries that you would expect from a boutique establishment. The staff knows all there is to know about the Hamptons and will be happy to suggest touring itineraries, restaurants, hiking trails, wineries, and the best beaches for relaxation. Families and larger groups can rent the wonderful three-bedroom Graybarn Cottage, which is self catering and has a private pool and garden. 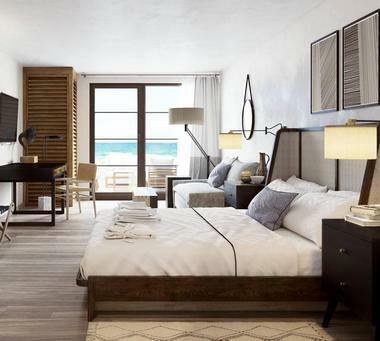 The name says it all – the Ocean Surf Resort enjoys prime beachfront location just steps from the surf, but is still within easy walking distance (just two blocks) from all the restaurants, shops, boutiques, and entertainment of Montauk. All the rooms at the resort have small kitchenettes, which makes them perfect for families and the beachfront location is a great drawcard. You can spend your days soaking up the sun on the beach or around the beachfront, and a pool, tennis, golf, water sports, and horseback riding are available just minutes from the resort. The pool deck is the ideal place to relax and soak up the sun and be lulled to sleep by the sound of the ocean. 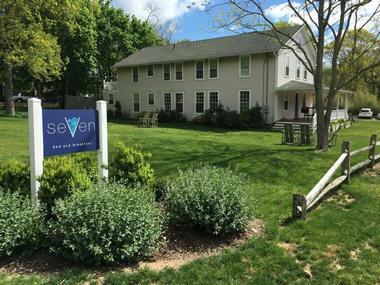 Seven is a charming boutique-style bed and breakfast on Shelter Island designed to provide discerning guests with a luxurious home-from-home vacation experience. Each of the light and airy rooms is equipped with crisp cotton sheets, seasonal down duvets, spa-quality natural toiletries, and TVs. Seven serves up delightful European-inspired buffet breakfasts and other meals can be taken at various restaurants located just a short walk or cycle away. Everything you need for a relaxing vacation is easily accessible – you can hire bikes to tour the island and the staff will be happy to inform you about local events and point you in the direction of the best beaches, hiking trails, farm stalls, and much more. 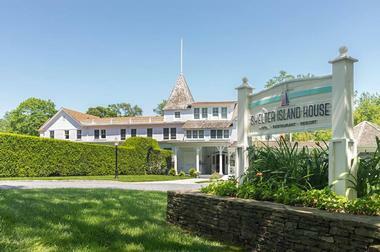 Shelter Island House has been welcoming guests since the 1800s and although the hotel has been thoroughly renovated to bring it fully into the 21st century, it retains a great deal of its historical charm. You can look forward to stylish, spacious rooms and suites, each of which has been thoughtfully decorated in neutral shades to ensure a feeling of relaxation. The rooms feature flat-screen TVs, free internet, and spa bathrooms. The best way to explore Shelter Island is on foot or by bicycle – bikes are available on site and lovely Crescent Beach is just one block away. Island activities include scenic coastal cruises, kayak expeditions, deep-sea fishing charters, and wildlife watching and hiking in the Mashamock Nature Preserve. 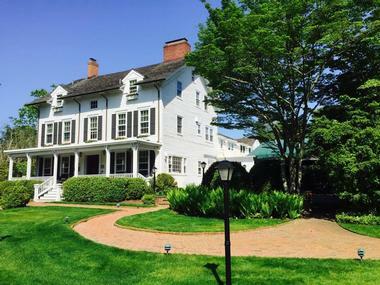 The historical Southampton Inn, (which has been a local landmark for more than three generations), provides weary city dwellers with the perfect relaxing atmosphere to enjoy a Hamptons vacation. The inn is surrounded by acres of manicured gardens, a seasonal heated outdoor pool, and a tennis court, yet it is within easy walking distance of all the restaurants, boutiques, galleries, and other attractions of Southampton Village. If you are visiting in summer, the inn offers a free shuttle service to Cooper’s Beach (1 mile away) and a bicycle rental service. The rooms and suites have been carefully decorated to provide a sophisticated yet calming ambiance to ensure a relaxing stay – expect super-comfortable beds, luxury linens, and many other treats to enhance your vacation. The multiple award winning Baker House 1650 is arguably the best boutique bed and breakfast in the Hamptons and you owe it to yourself to sample their luxurious hospitality on your next Hamptons vacation. The Cotswold-inspired 17th century architecture includes heavy beamed ceilings and log fireplaces, but the addition of whirlpool tubs, vanity sinks, and flat-screen TVs bring the inn right into the 21st century. You can treat yourself to a massage at the luxurious Baker Spa (which includes an indoor heated lap pool, steam shower, and sauna) or soak up some sun around the outdoor pool, which is surrounded by lovely gardens. The inn will provide you with towels, beach chairs, and umbrellas so that you can enjoy all the wonderful Hamptons beaches to the full. 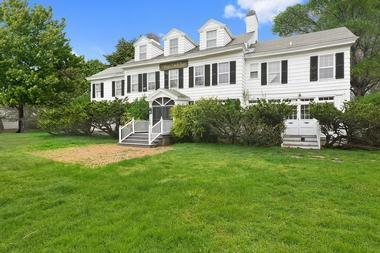 The Hampton Maid has been offering city dwellers a serene and comfortable Hamptons escape since 1959. The charming inn is surrounded by 12 acres of lush gardens, and each of the lovely rooms and suites features an outdoor seating area. You can start the day with a legendary Hampton Maid breakfast before setting off to explore the beaches, shops, boutiques, and galleries of nearby Southampton, or simply relax on a lounger around the outdoor pool. After a busy day on the beach, you can return to an oasis of tranquility – your comfortable room at the Hampton Maid is equipped with a flat-screen TV, complimentary Wi-Fi, and a Keurig coffeemaker. 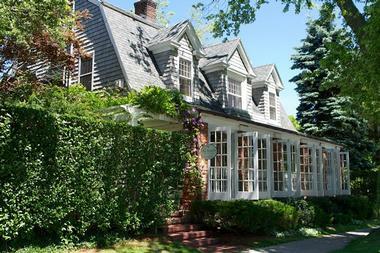 The Hedges Inn has been a Hamptons landmark for several generations since the original Mrs. Hedges opening a boarding house for discerning visitors back in 1873. Surrounded by lovely gardens, The Hedges offers visitors a delightful ambiance, legendary breakfasts, and newly renovated guestrooms with modern conveniences like flat-screen TVs and mahogany and marble bathrooms. The inn offers all visitors a beach pass, towels, beach chairs, and umbrellas so that you can fully enjoy your Hamptons vacation, and Main Beach Surf Shop offers equipment hire and surfing, kayak and paddleboard excursions. For a change of pace, you can take a scenic coastal cruise, visit a few wineries, or go on a historical walking tour. The Inn at Windmill Lane is an ideal Hamptons destination for guests who are looking for modern and spacious accommodation with a high degree of privacy. Most of the spacious and very stylish suites have a private outdoor patio, and each of the three deluxe cottages has its own garden area and a basement fitness room with a personal steam room and rain shower. You can look forward to being pampered with top-quality linens and toiletries and several other luxury touches, such as over-sized marble bathrooms, stunning décor, and in-room iPads. 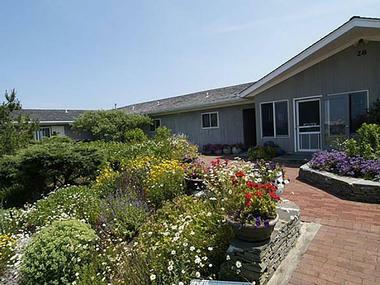 The inn will happily provide a shuttle service to local attractions and guests can borrow beach chairs, umbrellas, and everything else required for a seaside holiday. The Montauk Beach House is perfectly positioned just one block from the rolling Atlantic surf and a short walk from restaurants, boutiques, and other Montauk Village attractions. The hotel has four styles of rooms to choose from – some feature an in-room tub while others have a small private courtyard area or balcony. 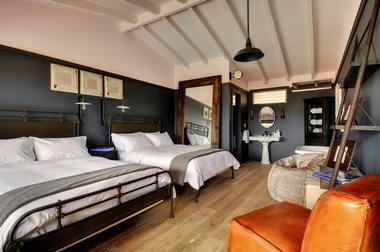 All the rooms feature quality linens, upscale body products, vintage bathroom fittings, and playfully eclectic décor. The Beach House has a lovely heated outdoor pool surrounded by loungers, where you can soak up the sun or enjoy a pool-side snack. Evenings in the bar/grill/lounge offer a lively atmosphere with flowing cocktails and a DJ on the weekends. Located at the historical crossroads between Southampton, East Hampton, and Sag Harbor, the Topping Rose House is the Hamptons’ only full-service hotel, offering a beguiling mix of old and new. Within the historical Topping Rose House (and the new annex) you will find 22 modern and stylish rooms and suites, each of which offers an exceptional level of comfort and style. Guests at the hotel can enjoy a free shuttle service to surrounding beaches and other attractions, an outdoor heated swimming pool, wellness center, and spa. You can round off your busy day by sipping a cocktail at the bar and lounge before moving on to the elegant restaurant, which serves genuine farm-to-fork food prepared from fresh locally sourced ingredients. The name says it all; the White Sands Resort Hotel is located right on the Amagansett Dunes, steps away from the rolling Atlantic surf. 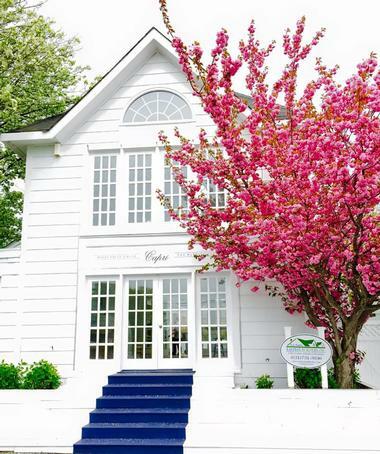 The no-frills resort offers a variety of rooms and suites, which are all comfortably furnished and equipped to provide visitors with a simple yet comfortable base from which to explore the remarkable beaches and all the other attractions of the Hamptons. All the rooms face the beach, so that you will be soothed to sleep by the wonderful sounds of the ocean; several of the suites have sea-facing decks where you can spend your evening sipping cocktails and preparing an alfresco barbeque. 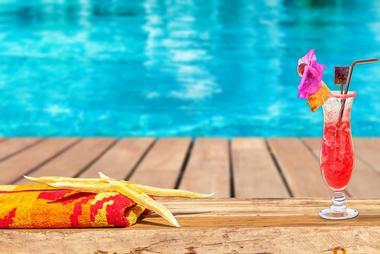 All the rooms and suites have a kitchenette, free Wi-Fi, beach chairs, and umbrellas.